I had been looking around for a recycling center for my recycling bins but they were not the right size, look, and were pricy. The above piece is not the most attractive but it is certainly practical and keeps the local wildlife out. The frame was originally a chest of drawers, painted cream when I found it discarded. It was also missing all of its drawers. I wondered if it would fit my recycling bins which sat on the garage floor. I decided to take it home and check. 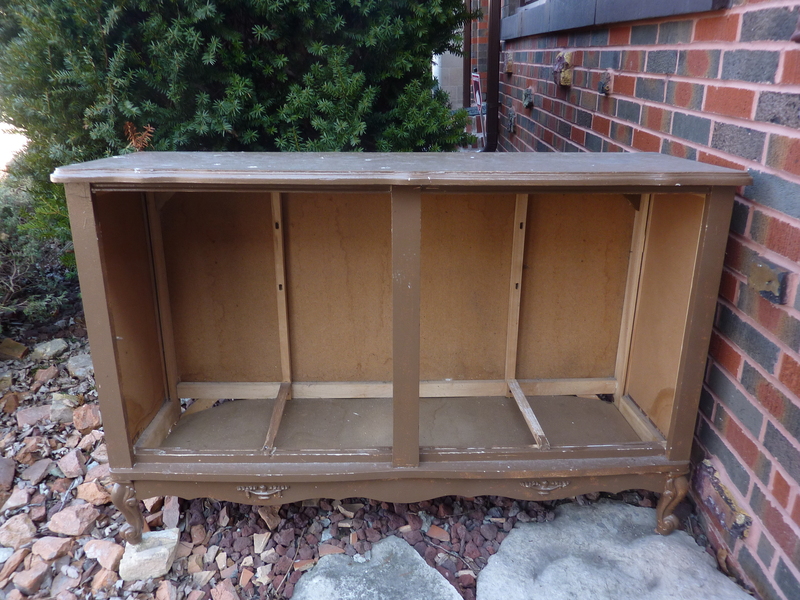 I removed the interior wood pieces that the drawers had rested on and painted it brown to coordinate with the trim on my house. 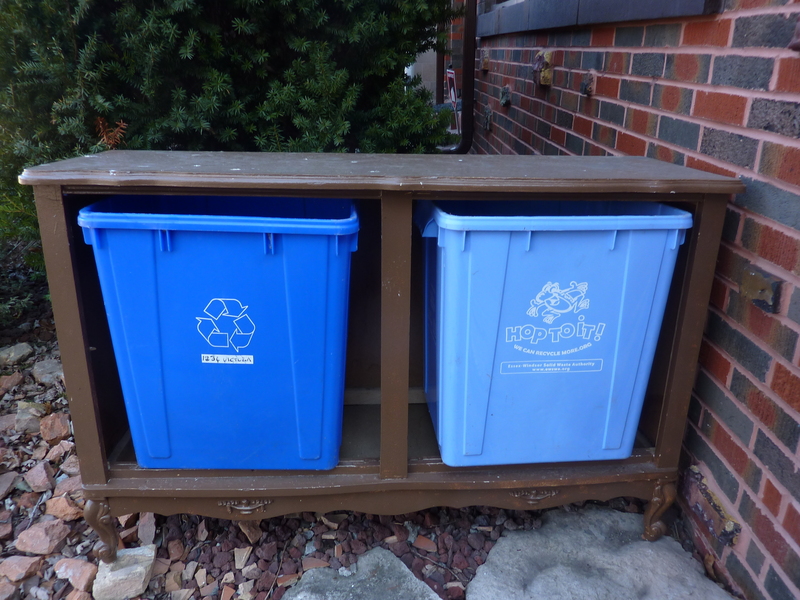 Now tucked away at the side of the house it is a convenient time, energy and space saver as the recycling is picked up at the front and not at the back where recycling was kept in the garage.